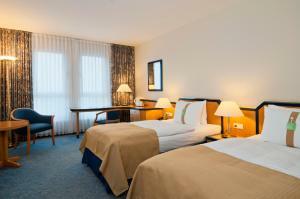 Bright room features floor-to ceiling windows, a satellite TV and modern bathroom with toiletries. 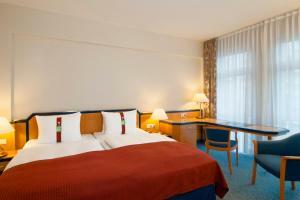 Bright room features floor-to ceiling windows, a satellite TV and modern bathroom with toiletries. This room offers a flat-screen TV. Bright room features floor-to ceiling windows, a satellite TV and modern bathroom with toiletries. There is no capacity for an extra bed in this room. Bright suite features floor-to ceiling windows, a flat-screen TV and modern bathroom with toiletries. Extra space and separate living and sleeping areas are provided in this comfortable suite. This twin room has a minibar.